I have an ugly landing bannister from the 1960's with 3 glass panels. One of the panels has been smashed and I am not sure whether the glass can be replaced. 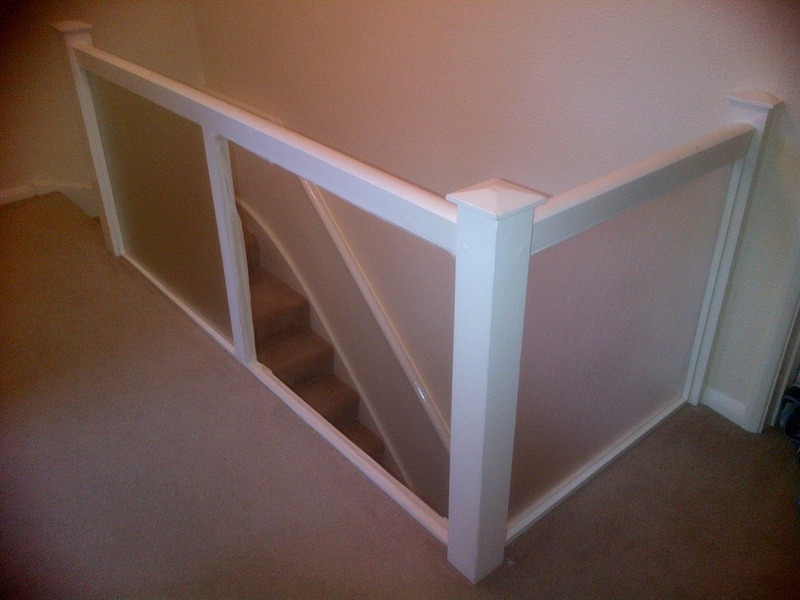 I would like to have a quote to repair and also another quote for a whole new bannister with spindles, or just inserting spindles to replace all the glass if possible as the posts are fine. Photo attached. Mike did a fantastic job for me, removing an old 1960's glass gallery landing and replacing with spindles. He came up with the solution and was very reasonably priced and did a brilliant job. He turned up on time and left the house pick and span! I would highly recommend him and will definitely be calling him again soon!